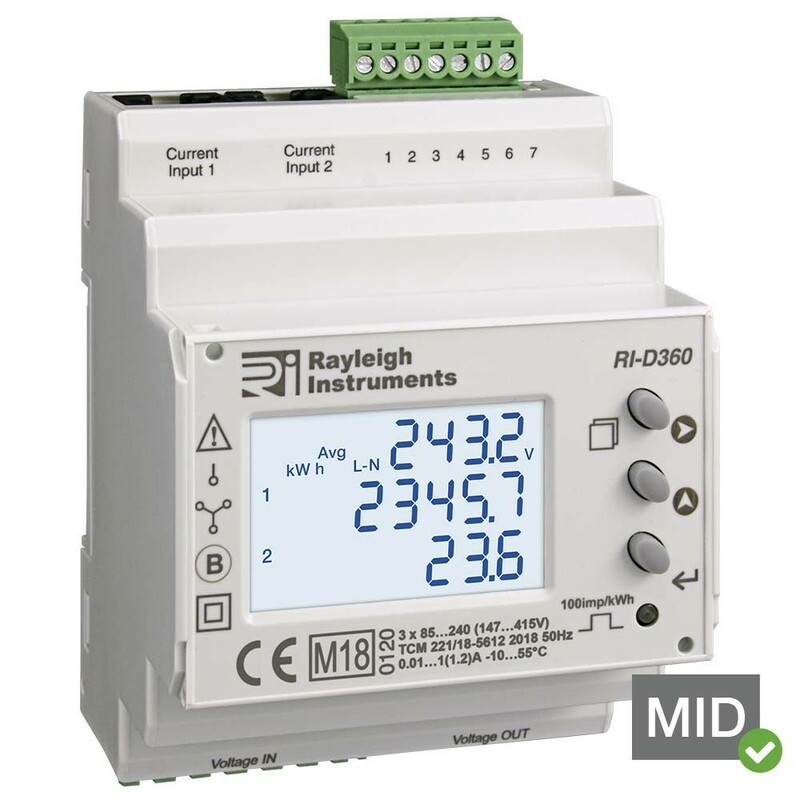 The RI-D360 series is part of the easywire® family of meters, designed to save up to 90% installation time compared to a standard meter and current transformer installation. 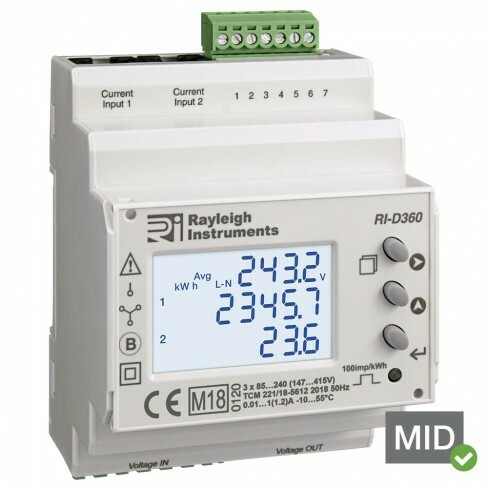 The meters contain two metering circuits in one case, and accept inputs from two separate easywire® current transformers while still utilizing the same voltage reference. 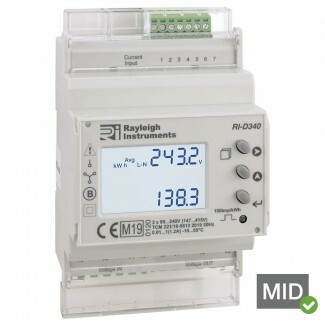 This MID approved, 4 module DIN rail mounted multifunction energy meter, is suitable for monitoring energy consumption and other electrical parameters in industrial and commercial applications. This series is particularly suited for use in split-load lighting and power boards, in three phase applications, and have been certified for billing purposes. A high efficiency white backlit LCD display provides a clear indication of measured values in all light conditions. Front push-buttons allow user access to the display page required.